Gamepad and friends strongly recommended. The game offers a unique twist with this mode. Here, no matter how many players you kill. Your goal is to rush out through your portal as fast as possible. Don't worry, you still need to kill, as it's the only way to open the portal. It closes if you die, so you'll be under a lot of pressure when it comes to escaping. Don't mess around, just kill someone and rush out ! CHOP – The goriest couch game to date finally hit Steam ! Don't forget to try the free demo ! See you in a bit for the next update ! 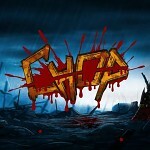 It's official : the Early Access release of CHOP is set for August 31st ! CHOP : The Kickstarter is now live ! Booya ! CHOP is live on Kickstarter ! You can pre-order and support us. GO ! GO ! GO !